Civil Law | Begner & Begner, P.C. We are prepared to handle negotiation, arbitration, or litigation in all civil matters in federal or state courts, including disputes between individuals, corporations, and/or governmental entities. 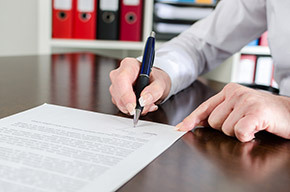 Our attorneys have experience in breach of contract, dram shop, and defamation matters. We have represented clients in R.I.C.O., section 1983 and other civil rights actions.